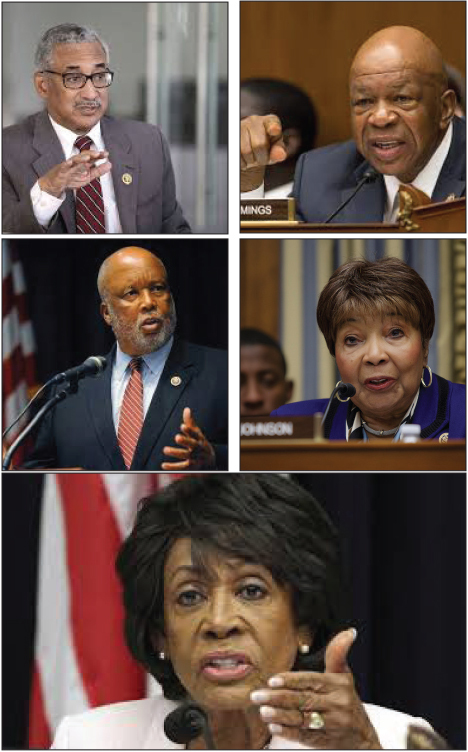 Rep. Maxine Waters is slated to chair the powerful House Financial Services Committee.Rep. Bobby Scott will be the chairman of Education and the Workforce Committee. Rep. Elijah Cummings will chair the Government Oversight Committee. Rep, Bennie Thompson will chair Homeland Security. And Texas’ Rep. Eddie Bernice Johnson will chair the committee on Science, Space and Technology. A leadership election will be held in the coming weeks to confirm the five as chairs of the committees they are now the senior Democrat on their respective committees. None are expected to be challenged. Rep. Waters has been a leading critic of the Trump Administration. She has been vocal not only against Trump’s policies but has led pushback on fiscal policies that impact millions of Americans.